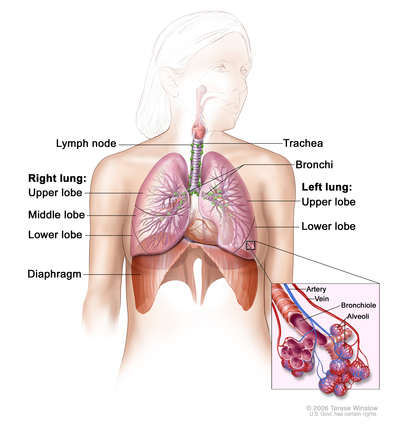 Small cell lung cancer is a disease in which malignant (cancer) cells form in the tissues of the lung. The lungs are a pair of cone-shaped breathing organs that are found in the chest. The lungs bring oxygen into the body when you breathe in and take out carbon dioxide when you breathe out. Each lung has sections called lobes. The left lung has two lobes. The right lung, which is slightly larger, has three. A thin membrane called the pleura surrounds the lungs. Two tubes called bronchi lead from the trachea (windpipe) to the right and left lungs. 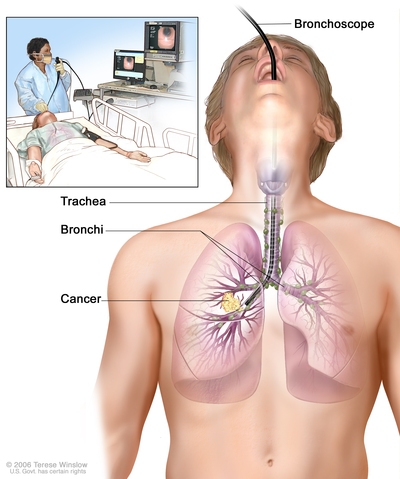 The bronchi are sometimes also affected by lung cancer. Small tubes called bronchioles and tiny air sacs called alveoli make up the inside of the lungs. There are two main types of small cell lung cancer. Smoking is the major risk factor for small cell lung cancer. Signs and symptoms of small cell lung cancer include coughing, shortness of breath, and chest pain. 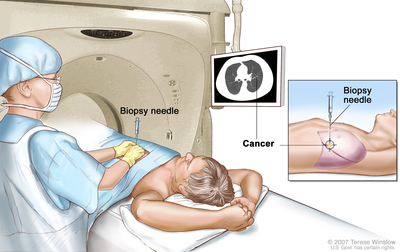 Fine-needle aspiration (FNA) biopsy of the lung: The removal of tissue or fluid from the lung, using a thin needle. A CT scan, ultrasound, or other imaging procedure is used to find the abnormal tissue or fluid in the lung. A small incision may be made in the skin where the biopsy needle is inserted into the abnormal tissue or fluid. A sample is removed with the needle and sent to the laboratory. A pathologist then views the sample under a microscope to look for cancer cells. A chest x-ray is done after the procedure to make sure no air is leaking from the lung into the chest. Mediastinoscopy: A surgical procedure to look at the organs, tissues, and lymph nodes between the lungs for abnormal areas. An incision (cut) is made at the top of the breastbone and a mediastinoscope is inserted into the chest. 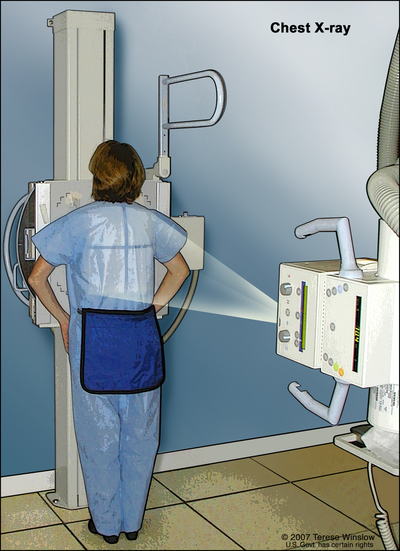 A mediastinoscope is a thin, tube-like instrument with a light and a lens for viewing. It may also have a tool to remove tissue or lymph node samples, which are checked under a microscope for signs of cancer. For most patients with small cell lung cancer, current treatments do not cure the cancer. If lung cancer is found, patients should think about taking part in one of the many clinical trials being done to improve treatment. Clinical trials are taking place in most parts of the country for patients with all stages of small cell lung cancer. Information about ongoing clinical trials is available from the NCI website.